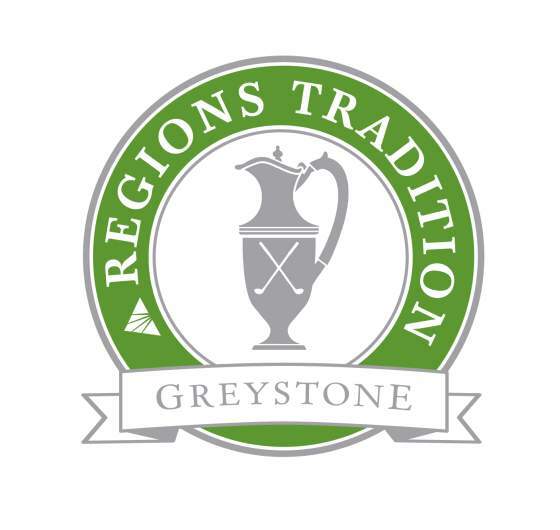 The Regions Tradition is the “Fifth Major” for the Champions Tour, along with the US Senior Open, the Senior Open Championship, the Senior PGA and the Senior Players Championship. The top four available and not otherwise exempt from this year’s money list. Additional players needed to fill the field, alternating between the All Time money list and the previous year’s money list. First played in 1989, the tournament originally was held on the Cochise Course of the Golf Club at Desert Mountain in Scottsdale. Don Bies won the inaugural title. In 2011, the Tradition replaced the Regions Charity Classic, which had been an Alabama staple since 1992. Current sponsor Regions Financial is a consumer and commercial banking firm with offices across the south, midwest and Texas. The current venue for the championship is Greystone Golf and Country Club. The Founders Course was designed by Bob Cupp and Hubert Green. The previous venue, Shoal Creek, was the object of some controversy in 1990 when civil rights groups protested the club’s lack of minority membership prior to the PGA Championship. Under pressure, the club admitted a single African-American member, local businessman Louis J. Willie. The incident prompted the USGA and PGA to adopt rules requiring membership diversity at courses hosting events.